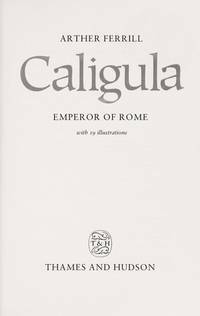 Home > Black Cat Hill Books > Caligula: Emperor of Rome. New York, NY Thames & Hudson, 1991. Hardcover First Edition USA , so stated. First Edition USA , so stated. Fine in Fine DJ: The Book is flawless; the binding square and secure; the text is clean. Free of any ownership names, dates, addresses, notations, inscriptions, stamps, plates, or labels. The DJ is also flawless; the price is unclipped; mylar-protected. As New. NOT a Remainder, Book-Club, or Ex-Library. 8vo. (9.5 x 6.5 x 0.8 inches). 184 pages.19 illustrations in black & white. Weight: 21.4 ounces. Hardback with DJ. Title: Caligula: Emperor of Rome. Edition: First Edition USA , so stated. 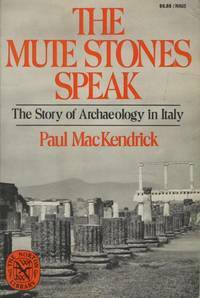 The Mute Stones Speak: The Story of Archaeology in Italy.